31695 - Kraft tags with elegant die-cut shape and design. 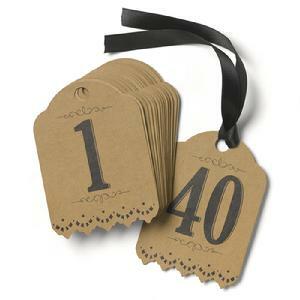 Table numbers 1-40 printed on both sides in black ink. 5¾" x 4¾".Black satin ribbon included. Customer assembly required.